Police pulled the child from the rented black sedan, then EXECUTED an unarmed woman on Capitol Hill. Another dead mental patient. How can we expect the rest of the nation's police officers to use restraint if it is not used in the nation's capital? Why was Mariam Carey killed rather than apprehended? Did she reach for a baby diaper? ABC reports: Miriam Carey's family said she had been suffering from postpartum depression with psychosis. Interviews with some of those who knew the Stamford resident suggested she was coming apart well before she loaded her 1-year-old daughter into the car for the 275-mile drive to Washington, D.C. Carey had suffered a head injury in a fall and had been fired as a dental hygienist, her former employer said. “Deadly force was not necessary,” Mariam Carey's sister said. Valerie, who is also in law enforcement, says that police could have rammed her car or disabled it instead. They didn’t have to take her life in the process. “There had to be something else they could have done,” said Amy Carey, another sister. Many people are in crisis. 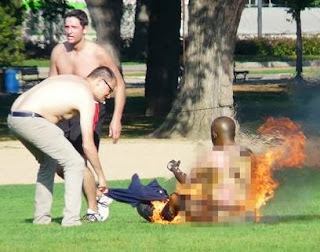 A man set himself on fire on the National Mall in Washington on October 4. Thank goodness the police did not shoot him. He sustained life-threatening injuries and was airlifted to the hospital. Huffington Post reports: "Katy Scheflen said passing joggers took off their shirts in an effort to help douse the flames, and the man was clearly alive as the fire spread. A police department spokesman said he was conscious and breathing at the scene. MedStar Washington Hospital Center tweeted that the man was taken there and he was in critical condition." He later died. Before you or someone you care about experiences a mental health crisis caused by a head injury like Mariam Carey, an infection that goes to the brain, like my brother Larry Neal, or age-onset dementia, like 107-year-old Monroe Isadore, it would be a good idea for you to help give ASSISTANCE TO THE INCARCERATED MENTALLY ILL. Sick people deserve timely treatment, not homelessness, prison, and death. You can help by sharing this article and others from "Dog Justice for Mentally Ill" blog. Elect to "follow this blog" on your upper right margin. Thank you. 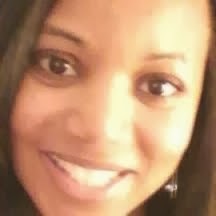 Feb. 10, 2014 UPDATE: The Sanders Firm, P.C., has agreed to represent the family of Mariam Carey in a well-deserved wrongful death lawsuit against Carey's executioners. Attorneys, friends, and fellow human rights advocates, the below empty space was a photo of "Dog Justice," our mascot for this blog. That photo and some others were removed from my articles by stalkers (perhaps NSA), who object to advocacy to decriminalize mental illness and stop hate crimes against mentally challenged Americans. Thank you, The Sanders Firm, P.C., for helping the Carey family. I would appreciate help having freedom of press and free speech to speak on behalf of people like Mariam Carey. Petition: "Free Mary Neal"
Mentally ill people need special care. They should be taken care at assisted living for mentally ill. Yes, mentally challenged people my have temporary health issues, like Mariam probably did, or they could have an acute mental illness and be chronically homeless like many of our veterans are. Dog Justice for Mentally Ill is here to advocate for mentally ill people to be protected from homelessness, prison, and avoidable deaths by removing roadblocks to timely treatment and subsistence assistance, if needed. Blessings.